A press conference was held in the newly renovated Charleston, WV Civic Center on August 8, 2018. Click here to view the entire press conference here. CHARLESTON, W.Va. — A Kanawha County pediatrician says she continues to see far too many cases of diabetes in younger and younger West Virginia kids living in the state that usually leads the U.S. in obesity. “We’ve got to put a stop to that,” said Dr. Jamie Jeffrey, director of KEYS 4 Healthy Kids and director of of CAMC Health System’s Children’s Medical Center and HealthyKids Pediatric Weight Management Program. This fall, she’s scheduled to be part of the 12th Annual Southern Obesity Summit which is being held in Charleston for the first time. “All of our folks can come together and learn from all the southern states about interventions and initiatives that can be scaled to help all of our citizens — youth, children, adults in our communities — lead healthier lives,” Jeffrey said. Each year, the summit draws hundreds of policymakers, leaders with community-based organizations, federal and state government officials, health care providers and others. In addition to West Virginia, states involved include Alabama, Arkansas, Florida, Georgia, Kentucky, Louisiana, Mississippi, Missouri, New Mexico, North Carolina, Oklahoma, South Carolina, Tennessee, Texas and Virginia. “This summit will bring together leadership from across the South to share, learn and develop strategies for positive change around obesity prevention,” said Jim Strawn, a member of the host committee. Past host cities have included Little Rock, Ark., Austin, Tx., Birmingham, Al., Charlotte, N.C. and Atlanta, Ga. In West Virginia, focus areas for the summit will include early child care, food access, nutrition, schools, health care, physical activity and worksite wellness. The goal is to prevent obesity by promoting collaboration, sharing successful policy and community-based intervention strategies and defining a strategy for inter-state initiatives. “The biggest difference happens in the communities — where we are, where we live, learn, work, eat, play and pray,” Dr. Jeffrey said during a Wednesday announcement event. 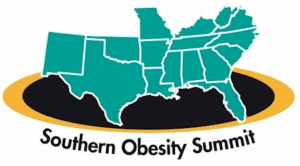 Registration for the 12th Annual Southern Obesity Summit is open now with an early bird registration deadline set for August 15th.